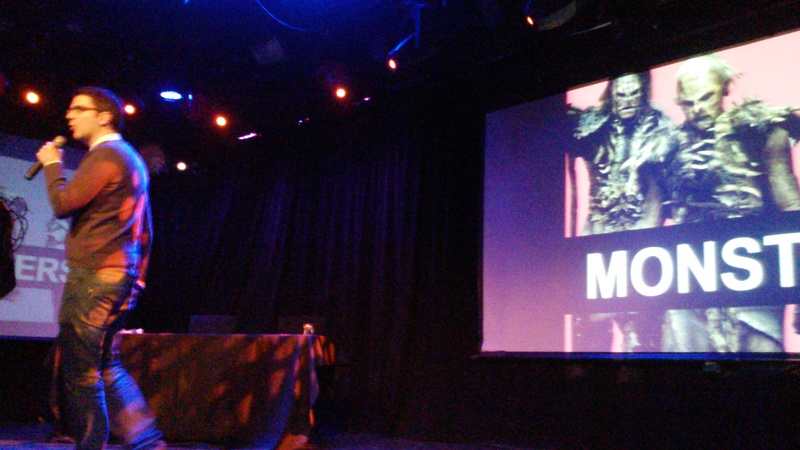 So last Friday I did another Nerd Nite presentation (the first being “Who’s Feeding These People” last fall) called “A Brief Ethnography of Orcs”. 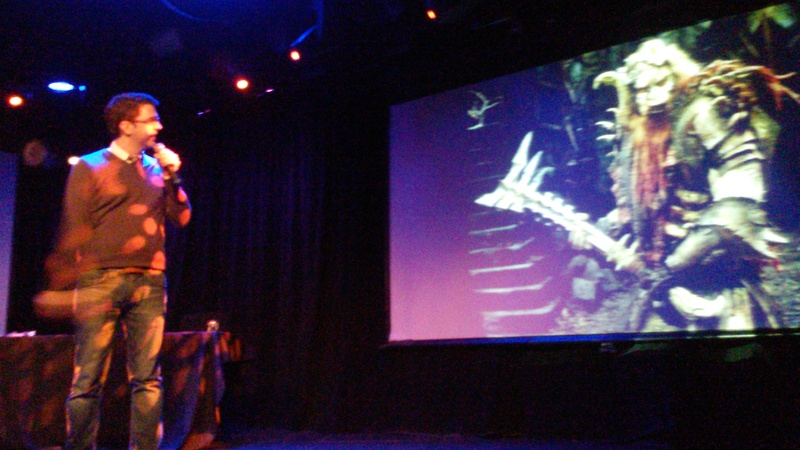 It’s a blast presenting at Nerd Nite, and I think the crowd was pretty receptive despite the topic being a little niche. I wanted to do a post about anything I had to have cut for time from the presentation, but I ended up getting mostly everything I wanted into the time allotted ( … going over by a few minutes probably helped). There were a few more examples in every section, but nothing pressing. I was surprised how in depth a topic it ended up being. 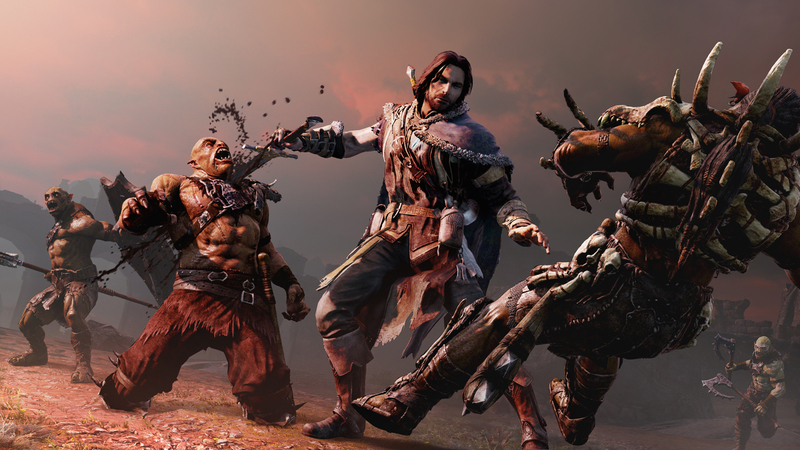 While I’ve always had a soft spot for villains of any kind, and Orcs in particular, the impetus for the talk was playing Shadow of Mordor, a fantastic Orc murder simulator. I was fascinated by the inherent dissonance in the premise: It has a fantastic and emergent Orc society to interact with, but your only means of interaction is death. So, the game has to make it clear that it’s okay to kill Orcs, because that’s all you can do in the game. It does this by trash-talking the Orcs and just making them seem like jerks, which still doesn’t really meet the ethical requirements to justify sneaking around and killing them, but it’s a start. At one point, Tallion’s ghost friend tells him that for Orcs, beauty exists only to be destroyed. Orcs are inhuman monsters, so it’s okay to kill them. In one mission, you have to gather up a toxic herb in order to poison the Orc’s grog supply. I already felt this mission was on dicey ground ethically- I mean, poisoning the well seems like a total bad guy thing. And I should emphasize, the game is not playing this as morally gray, like, Tallion isn’t conflicted over this, nor is the message its trying to send like, “Yeah stop the Orcs, but at what cost!?”. Nope, its just, “Yep, time to sneak in and poison what they drink. It’s not a war crime, because they’re not people!” During that mission, you can overhear the Orcs in camp singing a sort of pirate-y shanty-like song (because they’re drinking grog, I assume). That, for me, was the final straw. Beauty exists only to be destroyed, huh? But the Orcs sing! They create art! There is no way it can be moral to kill such a being without remorse. That idea fascinates me. Orcs are obviously fictional- it’s literally okay to kill them because they don’t exist. But fiction is always an extension of reality, and the justifications we use there often mirror ones we use in reality. In real life, people have historically portrayed their opponents as less than human in order to justify murdering them. It’s par for the course in human interaction, really. So I’m interested in the ethics of killing made-up creatures, because they’re usually literally the same as how we treat each other. I’m also interested in it because the justifications are needed at all. This doesn’t just apply to Orcs either, in a recent Polygon article the writer of Hardline: Whatever talked about the need to dehumanize the opponents so you wouldn’t feel bad about killing them. There’s so much to unpack there. On one hand, humans are so inherently empathetic, that we will sympathize with and balk at killing even completely fictional humans. Go human empathy! On the other hand, we’re so monstrous, even the flimsiest of justifications will remove that empathy and make us okay with murder. So yeah, there’s a surprising amount to unpack with Orcs, and there’s a whole texture to their history as well. It probably got lost in the shuffle, but the arc I wanted to convey during the presentation is that the pattern of how Orcs are represented in media (as monsters, then as savages, then as people) doesn’t just reflect a Western relationship with the “Other”. Rather, it also seems to run in parallel to making Orcs playable in games, and that wherever Orcs are playable, they become better depicted and more empathy is extended to them. So in a direct inverse to “fight monsters and you become one” it seems like playing as monsters turns them human. This is trivial on the face of it, because Orcs aren’t real. But I think the lessons there extend to why we need minority representation in media generally but especially in games. 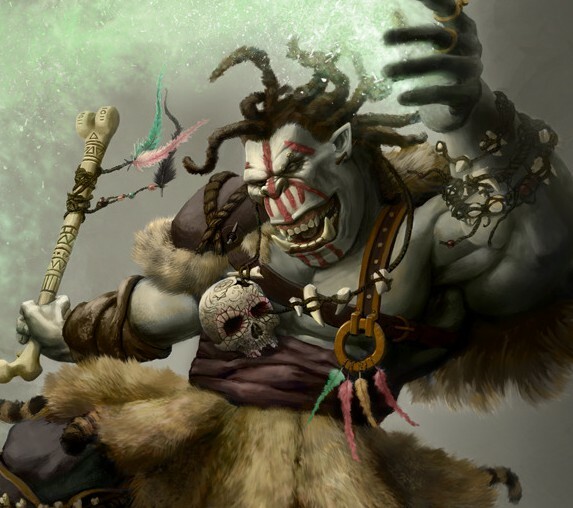 Because if we can emphasize with monstrous greenskins, then maybe we could even emphasize with other humans.